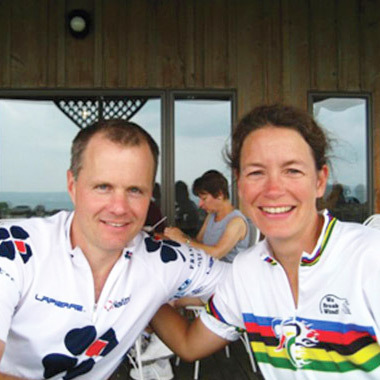 Our Vermont experts, they were first introduced to Classic Adventures in 2007 when they participated on the NY Finger Lakes tour as dream guests. Vermont natives, young, fit, computer literate, organized, great parents, and great bikers, Steve and Lisa are a perfect match for the Vermont programs. We think you'll agree, we're lucky to have them on board. Thank you again for creating and supporting such a great bike trip through Austria's beautiful countryside. That week with Classic was the best part of our tour of Europe. The hotels were comfortable and had good meals, the route was really enjoyable, and you made the whole thing fun with your presence. Thanks for another wonderful trip! Another WONDERFUL trip with Classic Adventures! We enjoyed every minute of the adventure and look forward to our trip with you. We have our new Classic jerseys and are happy they honor Dale. For our first tour we thoroughly enjoyed it. It is so calm and peaceful along the canal - perfect vacation.